Parris Studios: : Wicked. Awesome. Tiki. 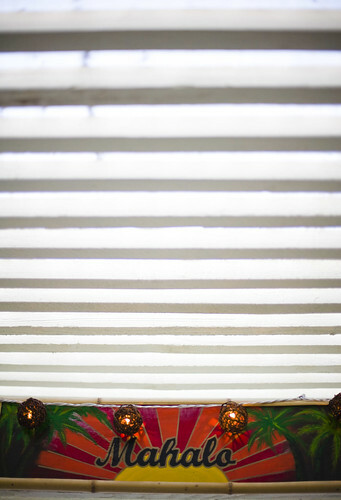 King Tiki 1, originally uploaded by Parris Studios:. As many of you know, I'm a huge sucker for a few things, My girls, video games, Star Wars, and anything Hawaiian, especially anything Tiki related. 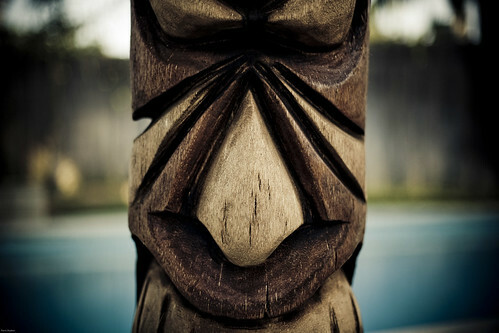 This Tiki was hand carved from a 40 inch piece of wood... in one day... and this is the first time ever carving a tiki. The person responsible for this is crazy talented, like beyond talented, gifted to the Nth degree in everything!! He's also extremely humble and is a great guy honestly! Jude (of Jude & Sarah, Peeps at the Beach, and the most recent belly shot - that was Sarah, not Jude of course :D) is that talented!! 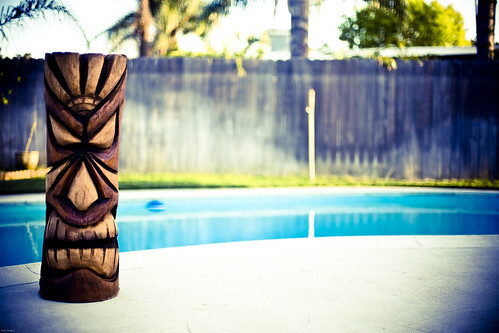 He has an amazing list of talents, such as custom skateboards, longboards specifically, and now tiki carving. This is his first one people, his first carving EVER!! It's so awesome! He really is talented at everything he does and is an awesome guy to boot. So, I'm posting up some images of this carving, I have put in my order (one of many to come), and if you are a fan of tiki's or amazing craftsmanship and would be interested in this or possibly a board (I'll post that picture soon - it's an another amazing piece of art, seriously!!) drop me a comment or an email (will [at] parris - studios [dot] com) and let me know you're interested and I'll get you in touch with him. This really is an absolute amazing piece of work Jude, seriously, A-MAZE-ING!! He made this too, I'm not kidding, brotha man is crazy awesome!! Word! There is no bias at all, he is that good! And it rocks in the backyard, the Tiki looks awesome swimming too, who knew! ?